Scooper - Technology News: Could financial markets help end gender inequality? 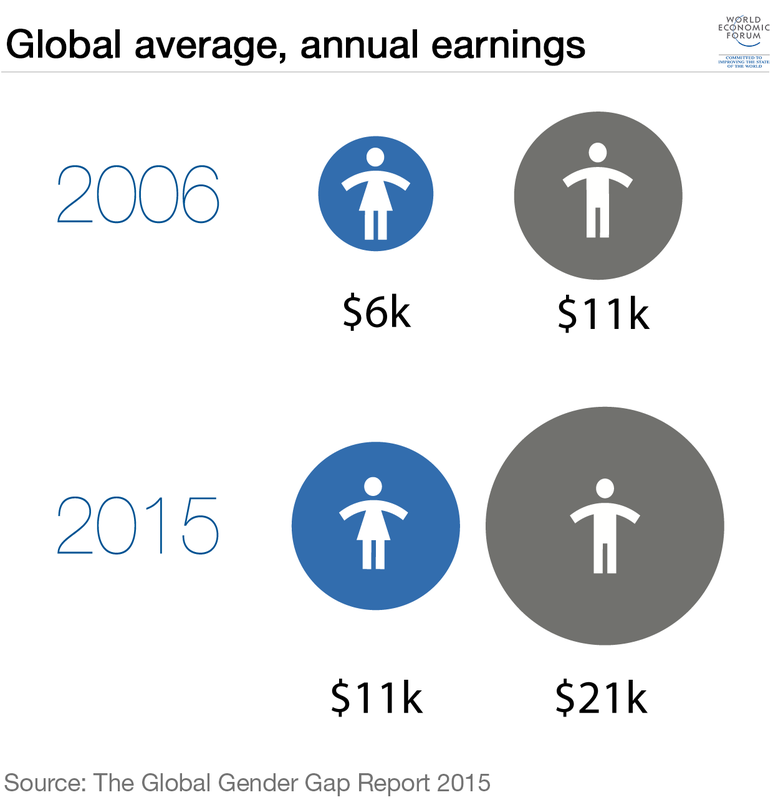 Could financial markets help end gender inequality? A new market index has been launched which hopes to promote gender equality by showing which companies are doing well when it comes to opportunities for women. 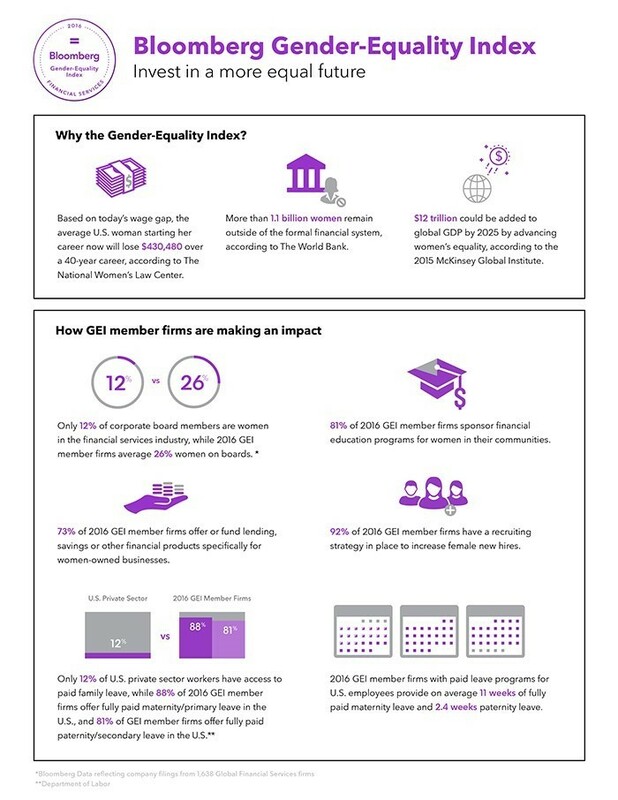 The Bloomberg Financial Services Gender-Equality Index ( BFGEI ) includes 26 public companies that are best-in-class in the financial industry when it comes to gender equality. Why do we need a gender equality index? The index measures various indicators such as gender statistics, employee policies, and support and engagement policies. Bloomberg says the index was created to satisfy demand from investors, a growing number of whom are looking to gender equality data to inform investment decisions. Numerous studies have shown that diversity is good for the bottom line, including one 2015 report which found that women CEOs in the Fortune 1000 drive three times the returns of S&P 500 enterprises predominantly run by men. But solid information on companies’ diversity and women-friendly policies has often been hard to come by. The new index aims to fill that gap, providing investors with an easy way to compare the performance of these companies with that of the market as a whole. To qualify for the index, a company had to have a market capitalization of at least $15 billion and trade on a United States exchange. Who is in the index? The index includes banking heavyweights such as JP Morgan Chase, Bank of America and Barclays, as well as major credit card companies like Visa and MasterCard. Although there are currently only 26 companies in the index, it will be expanded as more are assessed. How serious is the inequality problem? The World Economic Forum’s Global Gender Gap Report 2015 found that since 2006, an extra quarter of a billion women have entered the labour force. While that's good news, it also found that the annual pay for women only now equals the amount men were earning a decade ago. The latest Global Gender Gap Report ranked the United States 28th out of 145 countries in terms of gender equality. Emma Watson in Davos: Gender equality would be the 'single biggest stimulus to the economy' Which European countries have the biggest gender pay gaps?